PREMIUM VERSION has under gone Additional Factory Testing and Certfication. 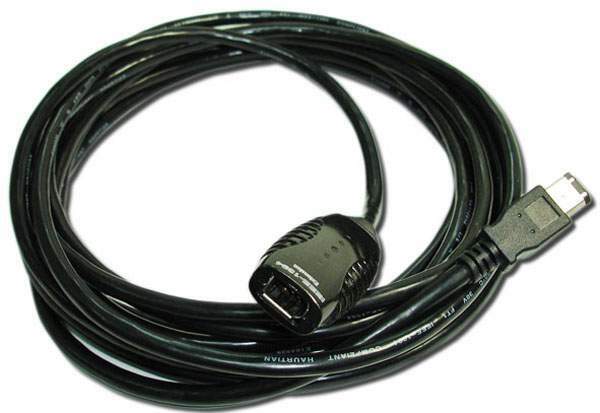 This repeater cable allows you to extend that distance by an additional 5 Meters. Extending Multiple cables works based on the Device. You can use three of these in a row without supplying additional Power. extensions can be added to a Max overall length of 50 Meters. Install the Male 6-Pin End into a powered FIREWIRE Port. Install additional Cables onto the Female side. 6Pin Firewire Ports on LAPTOPS are know to have very limited power output. So these might require additional power added for the extension device to work correctly.